There is an increasing demand for care workers to help people undertake their daily activities. Skills for Care research reveals that ‘the number of jobs across the adult social care sector has grown by 4% to 1.63 million.’ (Source: http://www.socialcareworker.co). In response to the demand, we have developed a new Health & Social Care department to help train people who wish to enter this growing sector. The NCFE Level 1 Certificate in Introduction to Health, Social Care and Children’s and Young People’s Settings, provides an introduction to the social care sector including the types of care available for older people, or people with mental health illnesses, dementia, physical disabilities, learning disabilities, etc, such as residential support and day services. It also covers the values and principles of providing care including dignity and respect, awareness of the skills and attitudes needed to work in the sector and communication. The NCFE Level 2 Certificate in Preparing to Work in Adult Social Care is suitable if you need to develop your basic knowledge of the sector. The course covers communication equality, diversity and inclusion, personal development, role of the social care worker, handling information, health and safety, safeguarding, duty of care and person centred approaches. You will also be required to attend a work placement in one of the care sectors. Caren has had varied career before joining us here at Greenbank College. As well as teaching Health and Social Care at West Lancashire and Southport Colleges she has also been a supply teacher for PSRE (Personal Social & Religious Education) worked supporting families affected by HIV and worked for a youth justice agency. 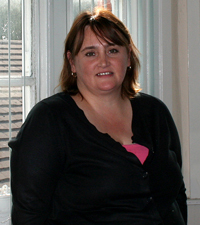 Caren says ¬Å“Health and social care is an exciting new addition to the courses offered at Greenbank College. It’s also extremely important to realise that young people of today are going to be the carers of the future and should therefore receive the best teaching and learning in this sector. It’s a broad umbrella for all sorts of issues and debate. I like seeing a student’s expression when they realise they ‘get’ the concept of what they are learning.